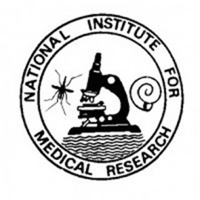 NIMR – Mbeya Medical Research Centre (MMRC) is one of the NIMR centres located in Mbeya within the Mbeya Zonal Referral Hospital compound. The centre is currently conducting research on HIV/AIDS, Tuberculosis as well as other diseases of public health importance. Within the framework of the NIMR – MMRC objectives his/ her mission is to perform efficiently and effectively clinical and supervision work related to HIV and/or TB studies.  Conduct medical examination/ investigation and provide appropriate treatment.  Identify problems occurring in the clinical setting and determine possible solutions and implement them.  Assist the Principal Investigator to organize and conduct training, coaching and mentoring to health personnel working in the study.  Prepare and conduct presentations at both national and international levels of conferences and meetings regarding to the study as requested by your superior.  Participate in study design, filling of case report forms; ensure proper documentation and filling of forms, report writing and publication of study results.  Organize appointments and presentations with other health and non health sectors such as community advisory board members, relevant to the study.  Recommend the purchase of drugs and medical equipment.  Other related duties assigned to you from time to time by your superior.  MMed, MPH, MSc or equivalent qualification in health related field is an added advantage.  Have interest to pursue a career in clinical research in Tanzania, preferably documented by previous involvement in research projects of any kind.  Further formal training in HIV (e.g. counseling, treatment literacy, PMTCT, PITC) would be an asset.  Maintain accurate, detailed reports and records.  Monitor, record and report symptoms and changes in patients’ conditions.  Record patients’ medical information and vital signs.  Monitor all aspects of patient care, including diet and physical activity.  Direct and supervise less skilled personnel, or supervise a particular unit on one shift.  Prepare patients for, and assist with, examinations and treatments.  Any other task as assigned by your superior from time to time.  Book 1 SOPs and CTL laboratory SOPs reading and understanding.  Preparation and autoclaving of PBS (incl. PBS w NaAz and labelling of PBS bottles. Terms: One year renewable Contract. mmrc@nimr-mmrc.org or by postal mail not later than 17th December 2017. P.O. Box 2410 Mbeya – Tanzania. Only shortlisted candidates will be contacted by either email or phone.